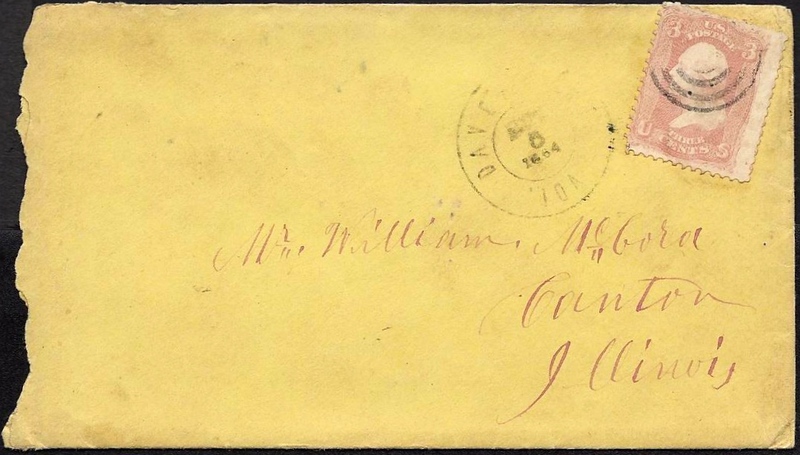 1863: William McCord to Thomas Jefferson McCord, Jr. 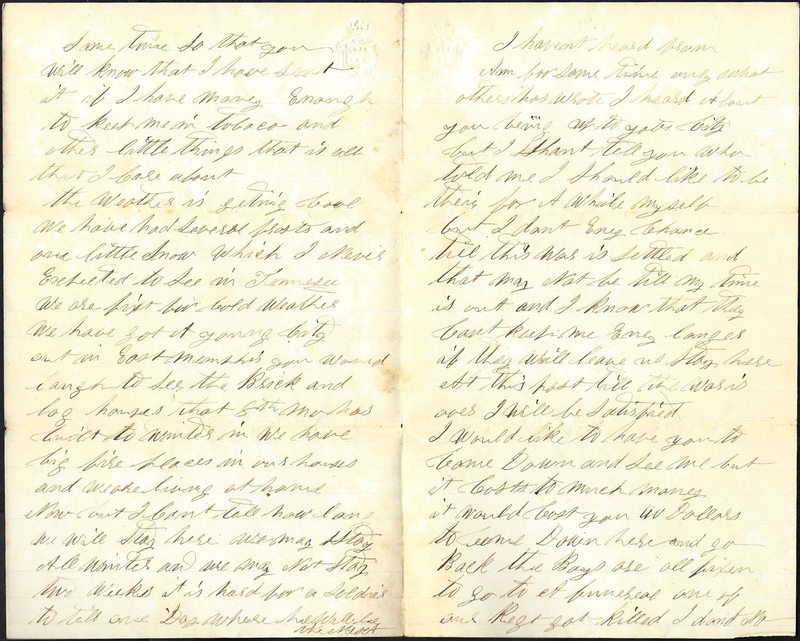 This letter was written by 21 year-old William McCord (1842-18xx) of Company I, 8th Missouri Infantry. 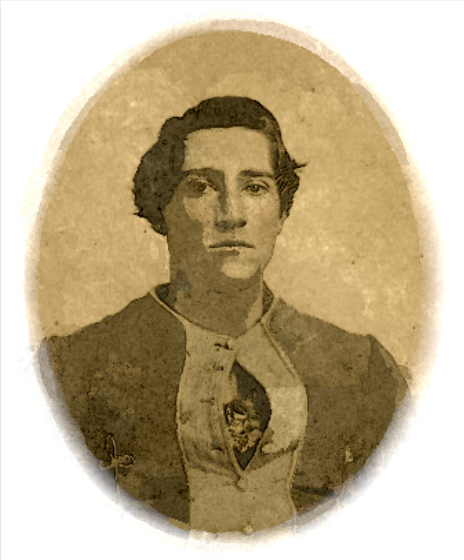 He was the son of Thomas Jefferson McCord (1810-1853) and Mary Ann Layton (1813-1889) of Knox County, Illinois. William wrote the letter to his brother, Thomas Jefferson McCord, Jr. (1840-18xx) of Canton, Fulton County, Illinois. He mentions his sister, Annie Rebecca McCord (1843-1935) in the letter as well. Annie married Samuel C. Varner in September 1863 in Farmington, Illinois. The 8th Missouri Infantry was organized in the late summer of 1861 and was composed of men recruited from both sides of the Missouri Rover. This was because Illinois easily met their quotas for volunteers but pro-Southern Missouri’s split loyalties caused them to come up short in supplying soldiers for the Union army. They wore the Zouave uniform and served with distinction during the Civil War, fighting decisive battles under Generals Grant and Sherman. I seat myself to write you a few lines to let you know that I am in a little better health than when I last wrote to you. I received your letter and money and was glad to receive it. It will help me along till I get my money. We was mustered the 31st November for pay and I think that we will get it before long. I have now ten months pay a coming to me — $130 dollars — which I will send you about $100 of it and you can do what you want to with it. I will send it by Express and will send you a letter at the same time so that you will know that I have sent it. If I have money enough to keep me in tobacco and other little things, that is all that I care about. The weather is getting cool. We have had several frosts and one little snow which I never expected to see in Tennessee. We are fixed for cold weather. We have got a young city out in East Memphis. You would laugh to see the brick and log houses that 8th Missouri has built to winter in. We have big fire places in our houses and we are living at home now but I can’t tell how long we will stay here. We may stay all winter and we may not stay two weeks. It is hard for a soldier to tell one day where he will be the next. I haven’t heard from [sister] Ann for some time — only what others has wrote. I heard about you being up to Yates City [Illinois] but I shan’t tell you who told me. I should like to be there for awhile myself but I don’t [see] any chance till this war is settled and that may not be till my time is out and I know that they can’t keep me any longer. If they leave us stay here at this post till the war is over, I will be satisfied. I would like to have you to come down and see me but it costs too much money. It would cost you 40 dollars to come down here and go back. The boys are all fixing to go to a funeral — one of our regiment got killed. I don’t know yet whether I will go or not. The health of the troops here is good. I guess that I have told you about all the news — only William Van Pelt ¹ is about dead with the clap. Keep this to yourself. ¹ Pvt. William M. Van Pelt was absent sick in October and November 1863. He died 26 November 1863 in the General Hospital at Memphis, Tennessee. He is buried in Section H, Grave No 4322 in Memphis National Cemetery. This entry was posted on Friday, September 26th, 2014 at 2:56 am	and posted in Uncategorized. You can follow any responses to this entry through the RSS 2.0 feed.